In December 2012, The Gores Group acquired Therakos, a medical device-drug company, from Ortho Clinical Diagnostics, a former subsidiary of Johnson & Johnson. Gores recruited a management team with more than 20 years of experience in the healthcare space and executed a complex carve-out to establish Therakos as a scalable, stand-alone company in just over a year. Based in Raritan, New Jersey, Therakos is the global leader in autologous immune cell therapy delivered through extracorporeal photopheresis (ECP), and is focused on providing innovative treatment platforms that harness the power of patients’ immune systems to fight disease. Given Gores’ expertise in carve-outs, the Gores team was able to move quickly and execute due diligence within Johnson & Johnson‘s timeline and meet their desire to reflect the sale of Therakos in their fiscal year 2012 results. Under Gores’ ownership, Therakos redesigned the manufacturing process to improve product quality and increase production volumes to meet increasing patient demand. In addition, the Company significantly increased its investment in clinical activities in an effort to gain FDA approval for additional indications and bring Therakos’ treatment platform to new geographies, including entry into Japan. 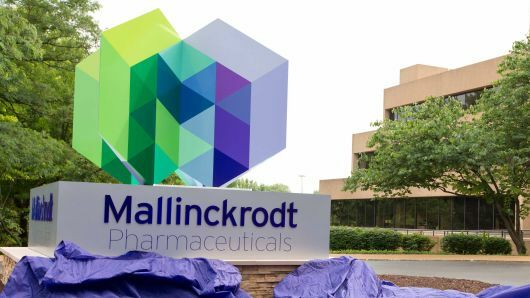 In September 2015, Gores closed the sale of Therakos to Mallinckrodt plc (NYSE: MNK), a specialty pharmaceutical company, in a transaction valued at approximately $1.325 billion, marking Gores’ largest Healthcare investment to date. The Therakos investment demonstrates a classic example of Gores’ strength in acquiring corporate carve-outs and partnering with management teams to successfully transition corporate subsidiaries into thriving standalone businesses.